Monsanto is offering cash incentives to U.S. farmers who agree to use the biotech giant’s dicamba herbicide, XtendiMax with VaporGrip. The company is desperate to convince farmers to use the weedkiller, as regulators in several states are toying with the idea of restricting the product’s use. Farmers who agree to spray XtendiMax on soybean fields genetically engineered to resist the weedkiller could see a refund of more than half the sticker price on the product in 2018, company data shows. Many farmers had a tough 2017 after new formulations of dicamba-based herbicides evaporated and drifted away from targeted plants. Monsanto maintains that XtendiMax is safe when applied properly. It is not the only company that produces dicamba herbicides – BASF SE and DowDuPont also have a corner on the market. Monsanto is offering to cough up cash just as federal and state regulators are requiring farmers to undergo special training to apply dicamba in 2018, and limiting when it can be used. Weed specialists have complained that the restrictions make dicamba more expensive and difficult to apply. Monsanto is banking on the proposed refund to convince farmers to use it anyway. XtendiMax typically comes with a price tag of about $11 per acre. Monsanto is offering willing farmers $6 per acre in cash back. In December 2017, North Dakota said it would prohibit the use of dicamba herbicides after June 30, 2018, when temperatures rise above 85 degrees Fahrenheit, in an effort to prevent the weedkillers from drifting from targeted plants to crops not engineered to withstand it. In Missouri, regulators are working to finalize restrictions on XtendiMax. The state already banned sprayings of BASF SE’s dicamba herbicide, Engenia, in 10 counties after June 1, 2018, and statewide after July 15, 2018. 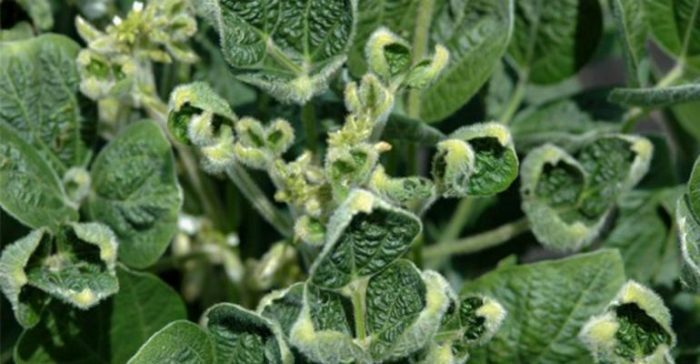 Arkansas is on the cusp of prohibiting dicamba sprayings after April 15, 2018, and Minnesota is also considering restricting dicamba use. Monsanto sued Arkansas state agricultural officials to halt the proposed ban. Soybeans are not the only crops damaged by dicamba. 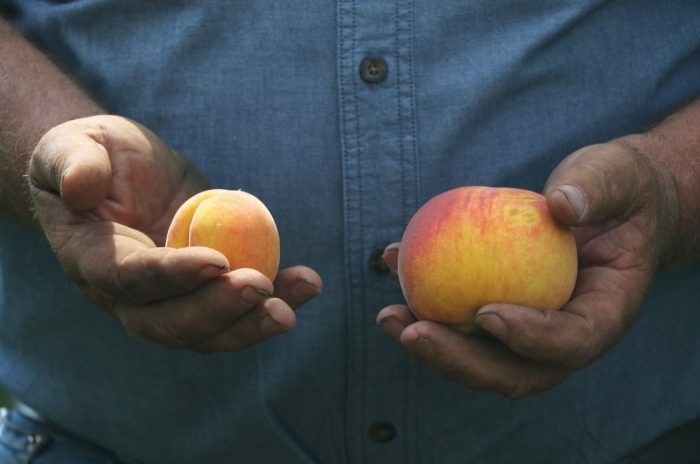 In 2016, Bader Farms, Missouri’s largest peach grower, sued Monsanto seeking compensation for extensive damage to the company’s peach trees over a 2-year span. As of September 2017, farmers in at least 10 states were embroiled in lawsuits over varying levels of loss and crop damage due to dicamba drift.